Are handwound guitar pickups really that special? Yes! I think that they are. That’s why all Revel Custom Guitar Pickups are handwound. 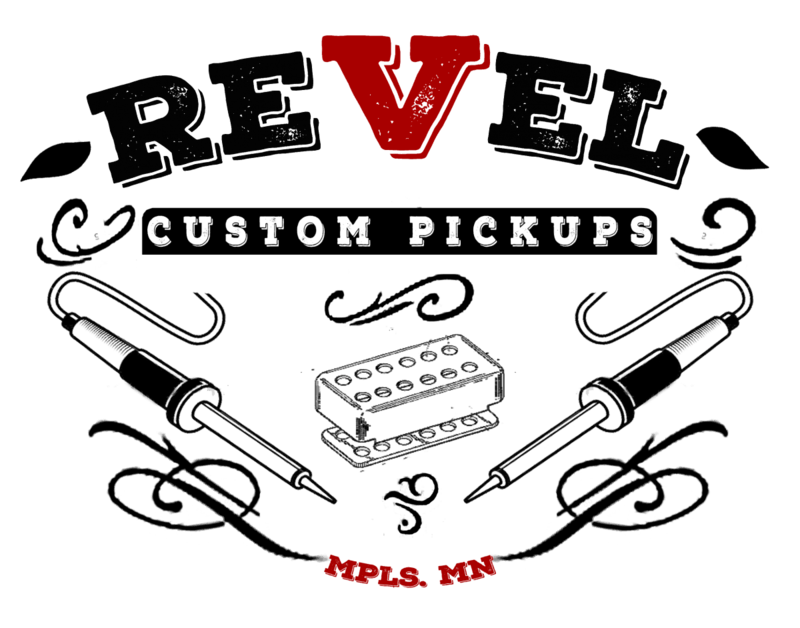 Every coil I use in a Revel pickup is handwound with one exception, the Revel Retro P.A.F. This is because original P.A.F. pickups were all machine wound. And machine winding, done right, has it’s own special thing going on. Obviously! Vintage P.A.F. pickups are coveted and almost every winder has a reproduction of them. I wind my Retro P.A.F. pickups with a custom built winder modeled after the mechanical winders of old. I scatterwind all of my coils. I find this approach to pickup coil winding to be superior to machine winding and production. And scatterwinding can only be done by someone who really knows what they are doing and why to do it. It takes a great deal of time and ever more concentration but produces far superior tone. Pickups wound by machine have the wire laid down very uniformly. The tension stays constant and the traverse stays measured and this method, although it sounds ok most of the time and really good sometimes, makes it easier to make a lot of pickups fast than it does make pickups of any number sound good. And good sound is what it’s all about. Scatterwinding means the wire isn’t laid down as uniformly which, in turn, lowers the distributive capacitance between the turns of the coil wire. And this lower capacitance improves the high end, the clarity, and increases the resonant peak and frequency response. And while it is possible to approximate both handwinding and scatterwinding with a machine – especially in the age of cnc and given the advances in coil winding software – I don’t personally feel it’s there yet. I also think it makes everything too uniform. I pride my pickups on being unique and not unlike works of art.